Any unauthorized use of the images will be deemed as breach of copyright and may incur court action and or will be charged at our current rate. “The Souvenir Guide Book tells the story of the Highclere Estate from Iron Age times to the present day. Originally owned by the Bishops of Winchester, the site has had occupied dwellings for 1,300 years. It passed into the Carnarvon family in 1679. A medieval ‘Elizabethan Placehouse’ gave way to a ‘Georgian Mansion’ and on to the Victorian ‘Highclere Castle’, commissioned by the 3rd Earl of Carnarvon from Sir Charles Barry, pre-eminent Victorian architect of his day, who built the Houses of Parliament at the same time as constructing the Castle. Almina, 5th Countess of Carnarvon, converted the castle to a military hospital during the Great War of 1914-1918. George, 5th Earl of Carnarvon, found the Tomb of Tutankhamun in Egypt with his archaeological partner, Howard Carter, in 1922. The cellars of the Castle have been converted into a magnificent Egyptian Exhibition to celebrate what was described, at the time, as the most important archaeological discovery of all time. EE: Lady Carnarvon with the long and illustrious list of those who have lived at Highclere Castle, what is it that peeked your interest in Almina, 5th Countess of Carnarvon, to write your best selling book, Lady Almina and the Real Downton Abbey? LC: I had read about Almina ten years ago when I did the research for the Highclere Castle guidebook, the Egyptian history and collection. She was someone who contributed to other people’s lives not only with her nursing but also with her love and support for all those around her. 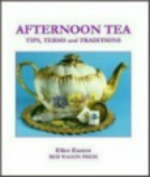 EE: Afternoon tea was at the height of popularity in the Victorian 1890s. So much so, that while waiting on the arrival of his Lordship with his new bride, Almina, to honeymoon at Highclere, a tea party had been given on the grounds to entertain 330 of the local towns children. On the momentous visit of HRH, The Prince of Wales, later Edward Vll, to Highclere Castle in December 1895, is there any record of afternoon tea being served during the three-day visit? 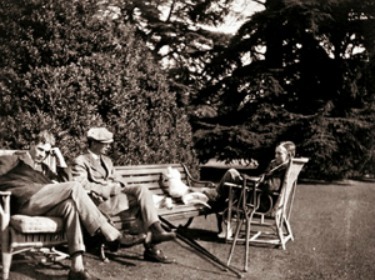 LC: Afternoon tea had always been a part of Highclere even before then. We have information, which is also in the book, about the food served over that weekend. I am not sure there is anything specific to afternoon tea. The guest list remains in the private archives. We always have afternoon tea as they did then. Dame Maggie Smith in character as Violet, Dowager Countess of Grantham, in Downton Abbey having tea on the grounds of Highclere Castle. EE: Afternoon tea quickly transformed into many variations, the casual tea for family and friends in private quarters, the self-served buffet tea for those guesting on weekend visits, gathering in the drawing room for after shooting parties and more formal reception teas. LC: Not at Highclere – stayed much the same, although we don’t have tea in the Drawing room ever, tea is taken in the Salon or sometimes in the Music Room. EE: Almina was a woman ahead of her time as she was not only the Patroness of the hospital she established at Highclere, she took quite a hands-on approach to participating with the patients. Did the tradition of teatime survive during the era of World War One when Highclere was turned into a hospital? Please describe some of the notable teas, both formal and casual that have been served at Highclere Castle both past and present day. LC: This is England!!! We have been very fortunate to have many wonderful guests here at Highclere from Royalty to dignitaries and well known people, this is reflected in our visitor books. EE: What type of China is used for teatime at Highclere? LC: Our own family china, which Wedgewood designed for us. EE: How many selections are offered? What tea blends are served? LC: We serve two types of tea, Earl Grey and a Breakfast tea. EE: What types of foods are served on the tea menu? LC: T raditional sandwiches and cakes, etc. I work with each chef to carry on the tradition. EE: Have the Highclere Castle teatime traditions remained intact or have they changed to accommodate modern schedules? LC: Teatime has stayed the same, no special traditions. EE: There is a HIGHCLERE CASTLE LADY CARNARVON AFTERNOON TEA BLEND sold in the gift shop offerings. How did you decide to choose this particular tea to be the signature blend at Highclere Castle? LC: It is actually an Indian blend, which is one of my favourites and good for everyday breakfast and tea. EE: Highclere Castle is now available to hire for private and corporate functions. What room do you feel lends itself best for an afternoon tea party? LC: Highclere has been available for some twenty years for private hire – corporate visits or tours run differently to our private use so depending on what the event is and the number of people would depend on where tea would take place. But I would suggest for a small party of four to six the Music Room. It is a stunning room to have afternoon tea and as its located on the corner of the castle, it offers views to the East of Jack Daws castle a stunning folly and then from the southern windows you have the rolling landscape and in the hills another folly heaven’s gate looks down. 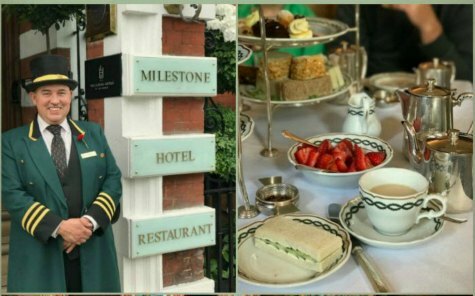 EE: When one visits Highclere Castle is afternoon tea available to the public on tour? LC: We have two tearooms where afternoon tea and scones are served throughout the day. There is also a selection of cakes and flapjacks, etc. Lady Fiona Carnarvon – the 8th Countess, now tells the remarkable story behind the real Downton Abbey. It is a story that is even more fascinating than the fiction. 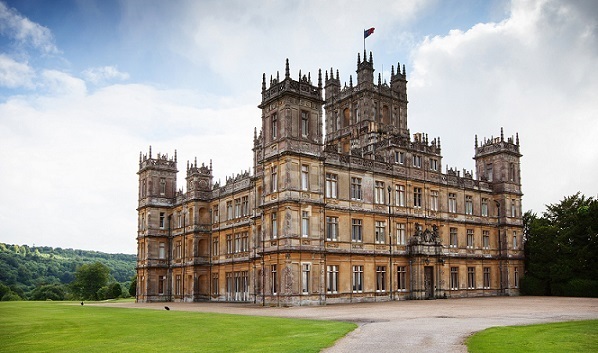 To visit Highclere Castle or purchase books and merchandise, Check out Highclere Information. AT HOME AT HIGHCLERE is a rich compendium of stories and recipes from a building that is not just a castle but a home… and an extraordinary one at that.